Posted December 7, 2016, in News, Student news. 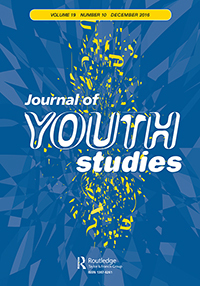 Congratulations to PhD student Michelle Storrod on her recent coauthored article in the Journal of Youth Studies: “‘Going viral’ and ‘Going country’: The expressive and instrumental activities of streets gangs on social media. Page last updated by Department of Childhood Studies at 1:09 pm August 9, 2017 . This page was printed from http://childhood.camden.rutgers.edu/2016/12/07/new-article-by-michelle-storrod-in-the-journal-of-youth-studies/?ajaxCalendar=1 at 4:37 AM Friday, April 26, 2019.